I’m Cornish, on my father’s side. Lured by gold, the Trezise ancestors arrived in Australia in the 1850s. And, as fate would have it, one of their descendants reinforced that heritage by marrying into the equally Cornish Hollow family. Little wonder that the Cornish pasty was a family tradition throughout my childhood. As a youth, my great-grandfather Sam Hollow had emigrated with his family from Redruth in the heart of Cornwall’s tin-mining region. 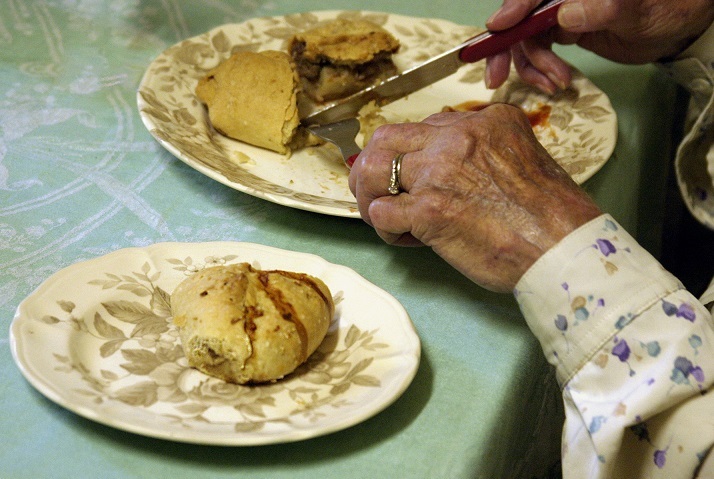 The pasties were traditional miner’s fare. A miner ate half his pasty mid-morning and saved the rest for lunch. The pastry carried a distinctive mark, so he could identify his own half-eaten meal, while the crimped crust allowed him to hold the pasty with his filthy fingers, without contaminating his food. The crust was discarded afterwards or, legends say, thrown down the deepest shaft to placate the guardian spirits known as “the knockers”. In 2011, the Cornish pasty received Protected Geographical Indication (PGI) status from the European Union. 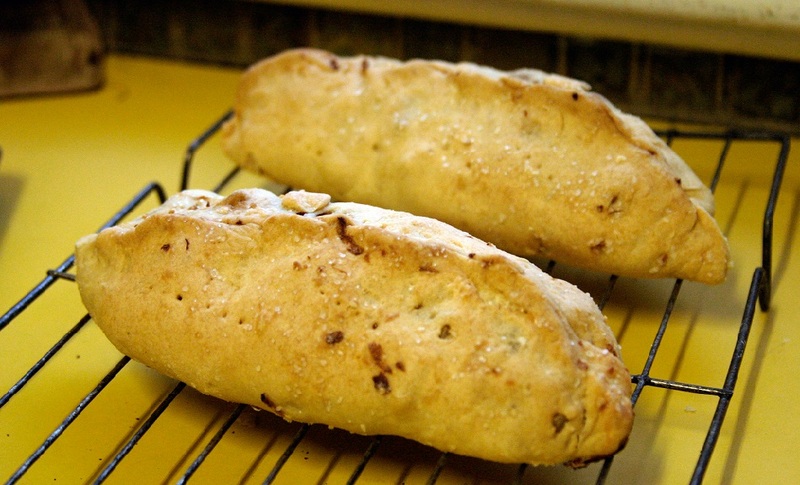 This means a true Cornish pasty must follow the traditional recipe – and be made in Cornwall. The Hollow family pasties qualified on the first count, at least. They were produced every Saturday, according to a time-honoured family recipe handed down from mothers to daughters. These pasties were goliaths of their kind. Their ends hung over the edges of the average dinner plate. The convention was to cut off a corner and put it aside for morning tea on Sunday, a warm-up for the lunch-time roast. When my father’s extended family gathered for Cornish pasties, whoever was cooking marked each one with a symbol that identified an individual’s preferences. Bill – light on the onion, plenty of meat. Marie – not too much salt. Saturday mornings during my childhood saw a pasty production line, with my grandmother (a Hollow born and bred) chopping the potatoes and the onions while she kept a sharp eye on her daughter-in-law, my mother, who was making the pastry. The shortening used in the pastry had to be beef dripping, and preferably beef dripping that had been enriched by the juices of several Sunday roasts. After mixing, the pastry was divided into fist-sized lumps that were allowed to rest for an hour or so before being rolled into an oval shape the width of the aforementioned dinner plate. 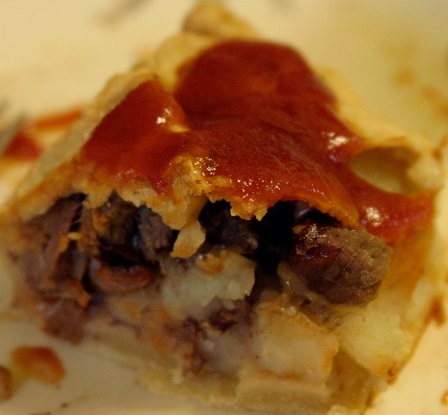 The only permissible fillings for your genuine Hollow pasty were half-inch cubes of skirt steak, cubed raw potato, chopped onion and salt and pepper. In rare, adventurous moments, a touch of Swede turnip might be included, but the very thought of adding carrot or a green vegetable was heresy. The pasty was constructed strictly to formula: first a handful of potato, then a fairly substantial spoonful of onion, then a handful of meat, distributed over the top. By now, the ingredients were nicely mounded. After a sprinkling of salt and pepper (pre-ground white pepper, which was then the staple in Australian kitchens) and a smattering of flour to help produce the gravy, the pasty was closed. This was where one’s skill in the art of pasty making was revealed (and where the pastry itself revealed its quality or lack thereof). It was necessary to draw the edges together over the distinctly lumpy filling, crimping along the top to produce the distinctive Cornish pasty frill. All too often, a piece of onion or potato would burst through the delicate pastry, leading to muttered imprecations and a hasty patch over the hole. There is controversy about whether the true Cornish pasty has the frill on the top or on the side. According to the Cornish Pasty Association, who should know, the crimp is along the side and the pasty is D-shaped. Well, our pasties always had the frill at the top, and since the family was Cornish through and through I regard this as optional. After the closing (and, maybe, patching) it was into the oven for an hour and three quarters, of which the last hour or so was exquisite torture as the aroma from the baking pasties drifted through the house. It drew several of the neighbourhood children like a magnet. They loitered around the back door, feigning interest in playing with my little brother, inhaling deeply and trying to conceal their watering mouths. My mother once relented and sent the little boy next door home with his very own pasty. Alas, his mother, clearly without a drop of Cornish blood in her veins, pronounced it starchy and lacking in gravy. Exactly. The heartland of the Cornish pasty in Australia is the area known as the Copper Coast, on the Yorke Peninsula in South Australia. A festival, known as the Kernewek Lowender (Cornish happiness), takes place in the towns of Wallaroo, Moonta and Kadina every two years. Copper was discovered in the area in 1859 and an assisted migration scheme helped attract a flood of Cornish tin miners to the region. To this day, some 10 per cent of the population of South Australia is of Cornish origin. However, the Australian company claiming to make the most authentic Cornish pasties is in Bondi. Cousin Jack Pasty Company’s recipe (with the exception of a touch of added parsley and somewhat fancier pastry) is pretty close to the Hollow/Trezise family version. Their crimping is a lot neater though – and it’s on the side. Their YouTube video shows how it’s done.